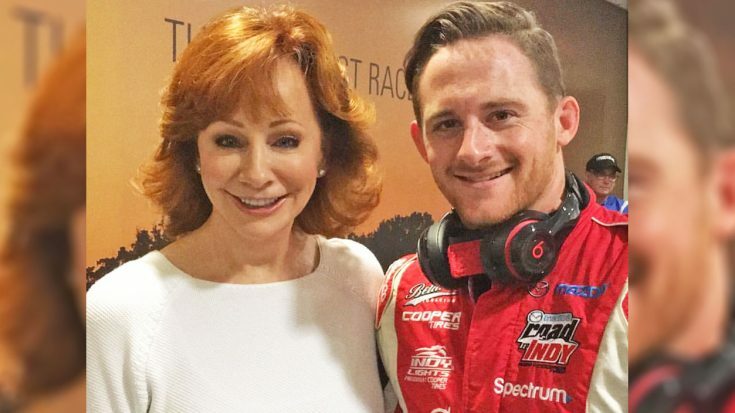 While it’s no question that talent runs deep in the McEntire family, it looks like the country singer passed on some talent to her son – just in a different fashion. Reba‘s son, Shelby Blackstock is the only child from her previous marriage to Narvel Blackstock. While the youngster originally planned to follow in his mother’s footsteps by pursuing music, it wasn’t long before he made a big career change. Shelby decided he was going to become a professional race car driver and Reba was less than thrilled to begin. During a recent interview on Rachael Ray Show, Reba explained that one day Shelby came home from college and confidently told her he was ready to take a different path in life. Reba jokingly responded until realizing that her son was serious. So, the “Fancy” singer knew she had to find a solution. Reba recalled back to the first time she watched Shelby race at Daytona Speedway. Since then, Reba has become more accustomed to her son’s fast-paced lifestyle – playing the role as his biggest fan! You can watch the full interview with Reba and Rachael Ray below.